Like another of the Katrin Eismann books reviewed here (Masking & Compositing) this book is a classic that has stood the test of time. 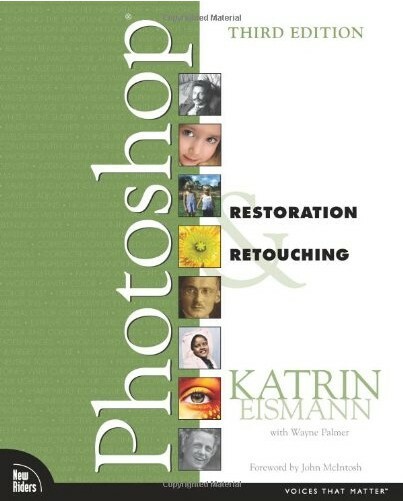 It's packed with information about how to restore old and damaged images as well as retouch photography. Even if you don't think the information is applicable to image editing you will almost certainly discover new techniques that you can apply. This is professional image editing explained in detail, in an understandable way. I should also make it clear that I am rating these books as general Photoshop Books and not rating them against their area of specialism. If I were they would be receiving a straight 10/10 without question. Fabulous.